A 16-year old struggles with loss using obsessive collecting to fill up her sorrow. 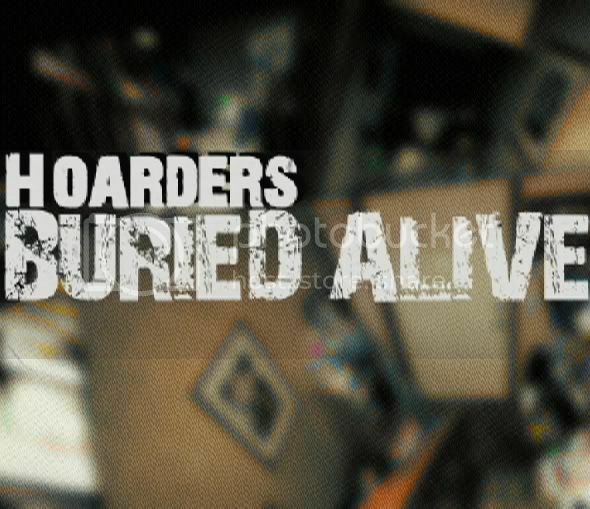 (S0407) In a particularly heartbreaking episode of Hoarders: Buried Alive we meet Haley, a 16-year old who is already well down the path of troubling obsessive behavior. Because of her tender age, Haley’s clutter is confined only to her bedroom which looks like a giant mountain of clothing piles, knick-knacks, and papers. Elsewhere the house is spotless and maintained by mom, Darla, Haley’s dad and younger sister, Zoey. While some people are just genetically afflicted with mental disorders, at age four Haley had a specific trigger that jump started her now diagnosed bipolar disorder – the death of her beloved three-year-old brother, Mikey. Haley’s dad described them as inseparable and Mikey was his oldest daughter’s best friend. When he passed, Haley lost her rudder. She wasn’t able to process the loss and move on so she started to collect items in the house and deposit them in her room in random piles. Darla says they eventually had to lock every bedroom and cabinet or Haley would go in and steal items that became “hers” once they crossed the threshold of her bedroom. At the start of Haley’s therapy, her grandparents are invited into her room for the first time to see the extent of the problem. It’s embarrassing for everyone and causes Haley to weep in the kitchen as her family looks on rather helpless. Feeling compassion for her older sister, Zoey leaves a note on Haley’s bed that says she loves her and is there for her even if her room is scary. For Haley, reading the note is a rock bottom moment. She processes that after already losing one sibling, her collecting obsession is now distancing her little sister. After that revelation, Haley agrees to commit to change and her therapy really kicks in. Psychologist Julie Pike interviews Haley and diagnoses that Mikey’s loss caused Haley to create sentimental bonds with things that transitioned into extensions of her being. Parting with them is akin to more loss. Using exposure therapy, Haley and her father go through a memory box of her brother’s baby items. She admits that she should have moved on by now and clutches to her father adding. “I don’t want to move on. I want my best friend back.” It’s tragic stuff to witness and you can’t help wonder why it took 12 years for Haley to get into some kind of therapy that helped her deal with the emotional trauma simmering inside of her for so long. Maybe she just had to want to change? Dr. Pike also introduces Haley and Darla to Jan, an older hoarder featured on a previous episode for her similar issues. Haley seems unfazed by the sheer depth of Jan’s junk, but Darla is immediately shaken feeling like she is looking at her own daughter’s destiny. Initially Haley won’t admit she has a problem like Jan but after some discussion she eventually fesses up to being a hoarder too. Delighted, the next day Darla brings in a professional organizer to help Haley clean her space but it only takes about five minutes for the idea to go south. Haley can’t handle anyone touching her stuff and rejects the organizer, her mother and the plan. Darla is heartbroken and weeps, “I believed you and now I feel really dumb.” Haley bolts outside for her car and leaves everyone behind. Darla is beside herself and gives chase, as does her husband who finds Haley and tails her back home. Darla calls Jan for more advice and a pep talk for Haley and that seems to do a lot of good. In a rare happy ending, six weeks later reveals a very changed Haley. She’s training as a nursing assistant and has cleaned and organized her room top to bottom. With therapy, organizing and goals, she now hosts her little sister in her clean room for sleepovers. Darla beams with pride at Haley’s change, and we’re left feeling like with the right intervention and therapy, Haley dodged a real life-wrecking bullet. 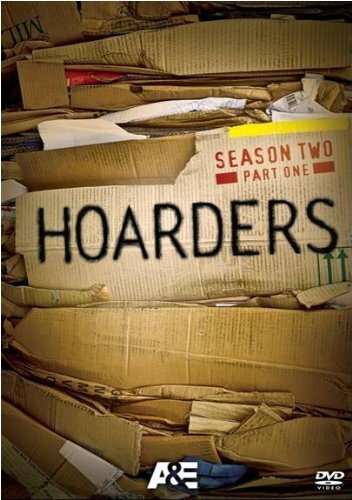 I've never thought about the concepts of a young hoarder and/or hoarding brought on by mental disease. My admittedly uninformed take on the matter was that simply people got lazy, obsessive-y, or something until the point where "things got out of hand." Really fascinating stuff Tara, thank you ! Poor kid has serious mental health issues!!! Haley needs help!! !